Lanterns On The Lake have been announced as the support for James' Better Than This tour in May. We take a look at the North East band's career which spans three studio albums, numerous EPs and the most beautiful live album we've ever heard. 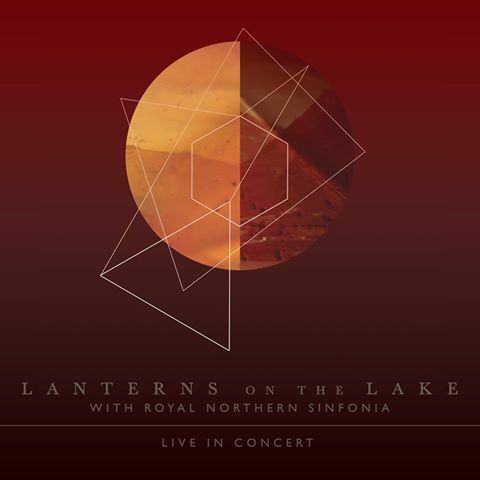 Lanterns On The Lake are currently Hazel Wilde (vocals, guitar and piano), Paul Gregory (guitar and backing vocals), Ol Ketteringham (drums and piano), Bob Allan (bass) and Angela Chan (violin, viola, cello) and they will be taking time out of the studio where they're recording their fourth album for this tour. Hazel previewed four songs - Every Atom, Understudy, Before They Excavate and Baddies - when she played a solo support slot to Mercury Rev at the Sage in Gateshead last summer. The band formed in 2007 and self-released three independent EPs between then and 2010 - Starlight, Misfortunes And Minor Victories and Lungs Quicken - each housed in an envelope sleeve with a wax seal. The EPs caught the attention of the music press and Simon Raymonde of Bella Union who signed them to the label. Following the release of a single, Keep On Trying, they revealed their debut album Gracious Tide, Take Me Home in September 2011. The album, recorded by the band in their homes and self-produced, maintained the magical mystical feel of those dreamy songs from the early EPs and also won the band critical acclaim. It would be two years before the follow-up to that album, Until The Colours Run, would see the light of day. Between the recording of the debut and their second album, they lost two members, Brendan and Adam Sykes, which meant that Hazel took on sole lead vocal responsibilities. Again, the album was released by Bella Union, who put out a number of singles from the record - Another Tale From Another English Town, The Buffalo Days and the album's title track. Gold Flake Paint described the album as "Until The Colours Run is one of the most intricate and affecting albums you’ll hear all year. It is born of intoxicating melodies and meaningful lyrics. And its sincere performance and finely-orchestrated arrangements touch the heart without veering into sentimentality. If you’re not moved by Until The Colours Run you’ve probably lost the capacity to feel anything." Despite positive reviews, the album failed to match the success it got in reviews with sale, but with one of the most supportive labels around with a commitment to promoting talent rather than chasing profit, the band regrouped, adding Bob Allan and Angela Chan as violinist Sarah Kemp departed and set about recording their third album. The first fruit of those recording sessions was Faultlines, which was released as the lead single from their third album Beings at the back end of 2015. It heralded a much more forward and ambitious sound that was to be continued through the album which was released in 2016 and once again gathered significant critical praise. Drowned In Sound talked in gushing tones about the album declaring "Lanterns on the Lake are at a stage in the genesis of their band that it would appear that almost anything is possible for them." The band released two further singles - Through The Cellar Door and The Crawl - from the album which gathered almost universally positively reviews and set about doing the hard miles across the country touring the record, including a set for BBC Scotland's Quay Sessions. Towards the end of the touring cycle for Beings, they played their biggest headline show to date, and a very special one at that, teaming up with Fiona Bryce and The Royal Northern Sinfonia for a show in the main hall at The Sage in Gateshead. The set was recorded and released digitally at the end of 2016, winning this blog's album of the year against stiff competition such as James and Blossoms. Clamour from fans saw it finally released a year later on vinyl. It captures perfectly a very special night and adds light and shade to the songs from Beings which make up most of the album. Worryingly, social media messages from the band seemed to suggest that their time might be coming to an end and they told us in an interview that "For the first time ever we have no immediate plan and that feels pretty good." However, in mid 2017, Hazel announced the Mercury Rev support slot and then the band were invited to support Brian Wilson at his show at Newcastle's Times Square. Their announcement of the James tour confirmed that they're back in the studio recording new material, which they'd look to roadtest on the tour, whilst James intriguingly posted on social media that it was "third time lucky" as Jim Glennie had previously vocally supported them. Along with The Slow Readers Club, who James took on tour in 2016 continuing their tradition of supporting bands they love that deserve wider attention, Lanterns On The Lake are one of the most-loved bands in the country by those who've had the joy or the luck to have come across their music. Hopefully the James tour will have a similar impact on their fortunes. The tour goes on sale on Friday at 10am with a pre-sale for James fans signed up to their mailing list. Dates are Llandudno Venue Cymru (May 16), Warrington Parr Hall (17), Blackburn King George's Hall (19), Halifax Victoria Theatre (20), Middlesbrough Town Hall (22), Oban Corran Hall (23) and Scunthorpe Baths Hall (25).